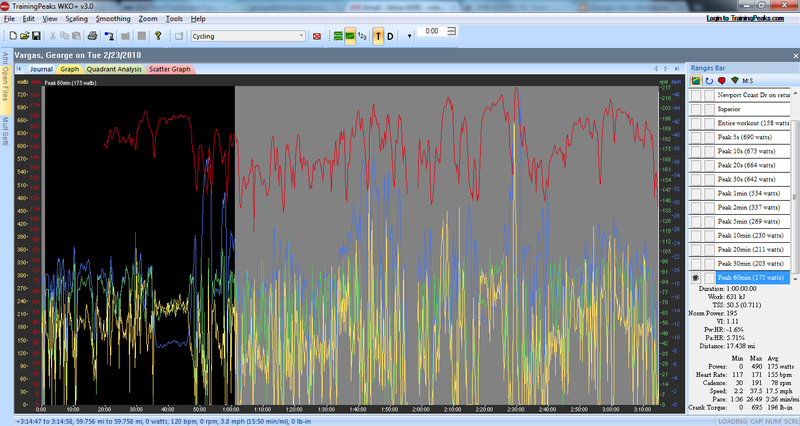 Interesting how my first hour getting to the group ride was my best 60 mins of the ride. This entry was posted in High Intensity Training, power training by REV Cycling Directeur Sportif. Bookmark the permalink.